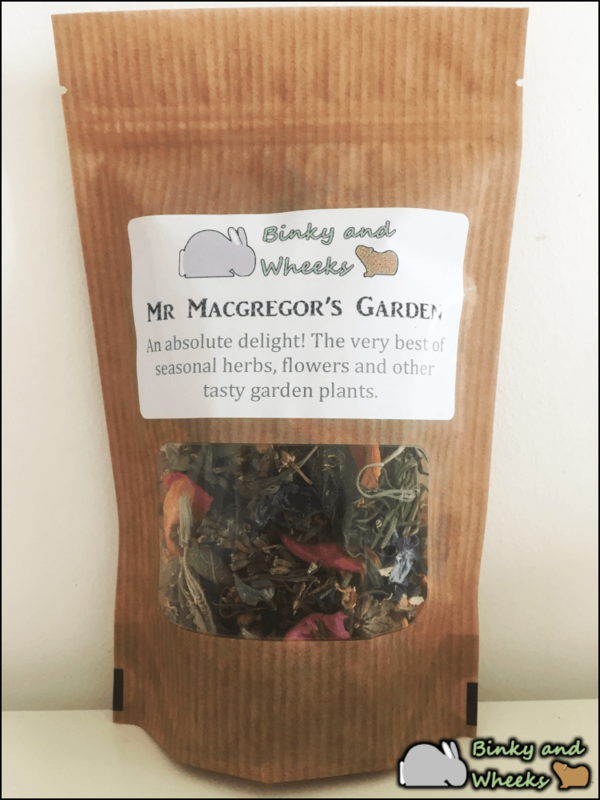 I’m Today we are reviewing Binky and Wheeks Mr Macgregor’s Garden. A selection of dehydrated edible flowers, herbs and radishes. 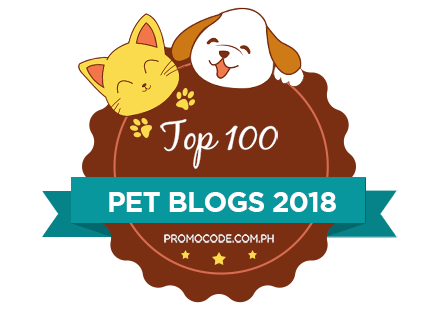 Pansies, Nasturtium leaves and flowers, Sage, Rocket, Lemonbalm, Chocolate mint, Rosemary, Chamomile flowers, strawberry leaves, Rose, Lavender or Comfrey and Radish. 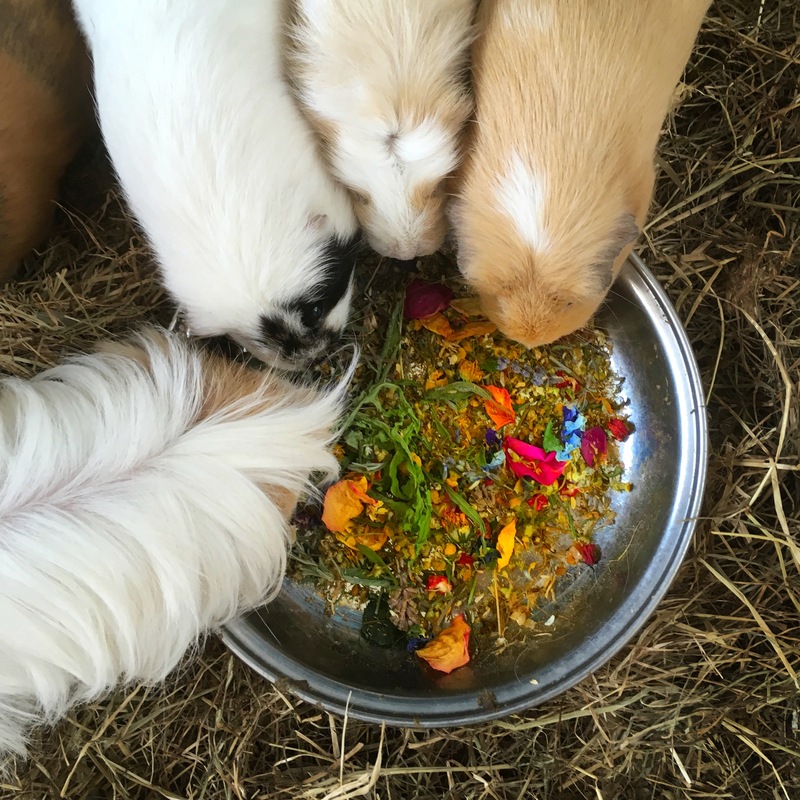 Radish and nasturtium are both particularly high in vitamin C so perfect for Guinea Pigs. 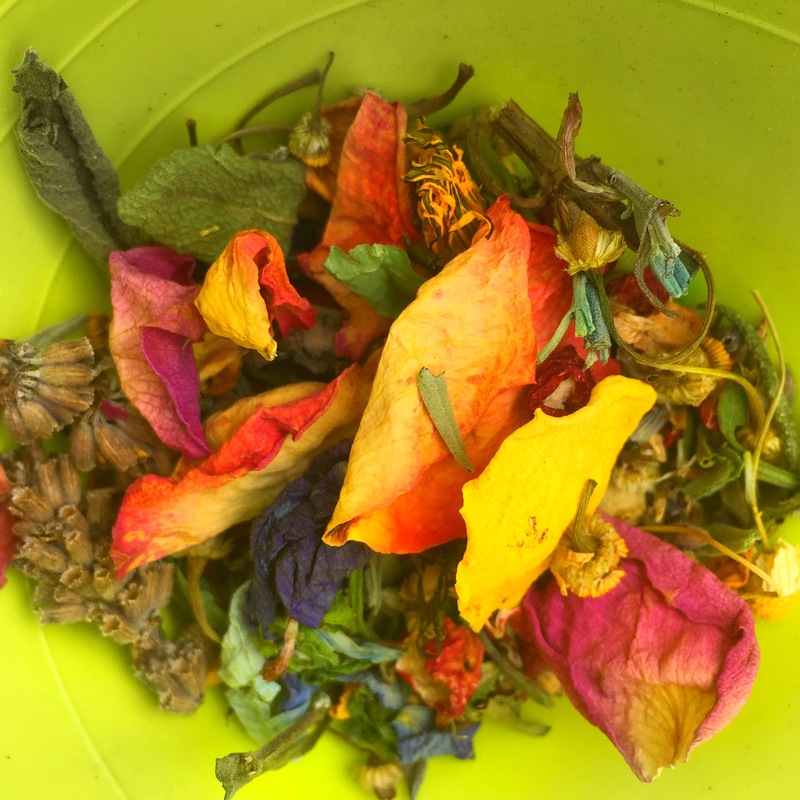 This mix smells and looks like a reasonably posh pot pourri. 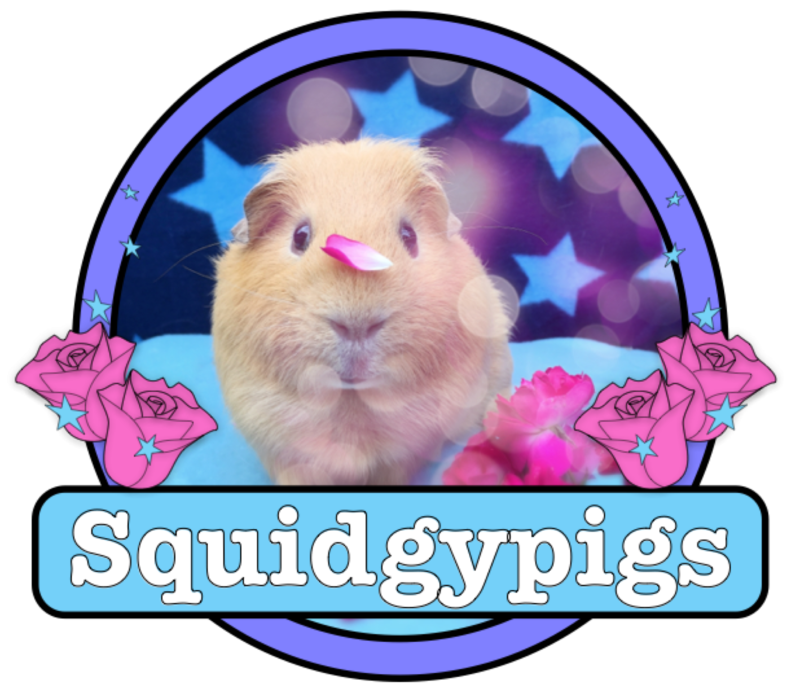 The Squidgypigs all adored the various different textures, tastes and colours. As with the other Binky and Wheeks mixes they are packaged in brilliant resealable bags which does a good job of keeping the treats in good condition. I loved that Binky and Wheeks added extra radish for even more vitamin C.
Binky and Wheeks have done a lovely job of assembling a visually appealing as well as clearly appetising mix. 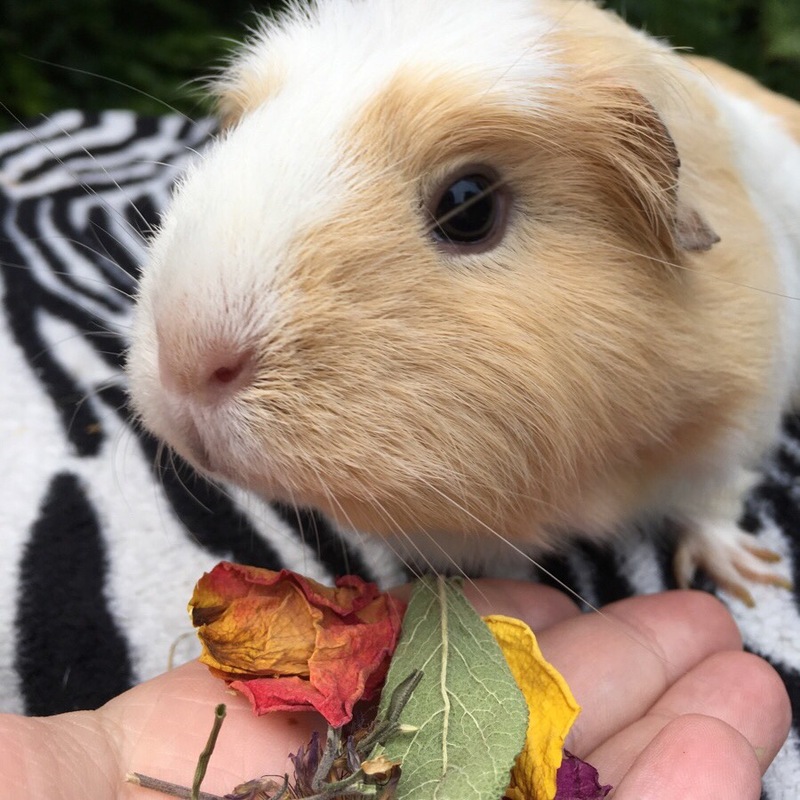 The delicious aroma is lovely for both humans and Guinea Pigs and is especially good for visually impaired pigs like Football and Britney. 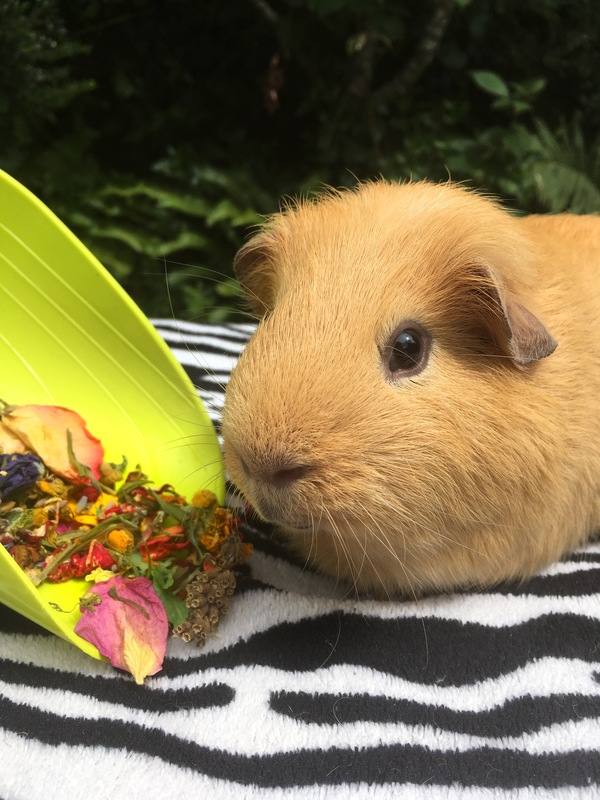 It’s a truly beautiful mix that your Guinea Pigs will love.